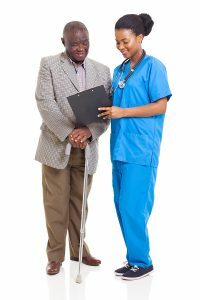 Should I Have An Attorney Assist Me In My Disability Application? The process of filing an application is relatively simple and certainly an attorney is not necessary to actually complete the application. It typically takes three to five months from when an application is filed until a decision is issued. However, in Michigan the denial rate on initial applications is nearly 70%. Having an experienced Social Security Disability Attorney handling your claim from the outset will greatly increase your chances of success and if you hire Goidosik Morse Disability Law Group there is no fee unless you win. Also, it is important to know that if denied at the initial level, and an appeal is necessary, it will likely be eighteen months before your case is decided. Don't Miss Out on the Money You Deserve! Whether a case is approved depends on your age, education, work experience and your physical and mental capabilities (and, of course, the point of view of the decision maker). In other words, depending on the factors in your case, your chances of approval could be much better than 30% (or much worse). Once you contact us we can quickly assess the strengths and weakness of your claim. Your most recent W-2 form or, if you were self-employed, a copy of your federal tax return. The Goidosik Morse Disability Law Group has over 98 Years of Combined Experience Handling Kalamazoo, Battle Creek and Grand Rapids Disability Claims. We will give you a free no obligation consultation and a candid assessment of your chances. If you don’t need an attorney to assist you in your application, we will tell you. Are Social Security Disability Claims REALLY Getting More Difficult? The ALJ approval rate dropped for the fifth straight year in 2014. The ALJ approval rate fell from 63 percent in 2008 to 45 percent in 2014 which means it is more critical than ever to have quality representation in your Social Security Disability claim. The lawyers at Goidosik Morse Disability Law Group have over 95 years of combined experience. With ALJs becoming more conservative in their decisions, even strong cases will sometimes be lost at the ALJ level. Many attorneys will give up at the point or send in a half hearted appeal. In viable cases, Goidosik Morse Disability Law Group vigorously pursues appeals including to Federal District Court.